Here are highlights of several new laws not mentioned in the 2015 Legislative Summary policy brief published last week on the OEP website. School board elections. SB968 (Act 1281) gives school districts the choice of holding annual school elections on the third Tuesday in September or on the day of the general election in November. While some legislators expressed concern that board members could use the law to steer the outcome of elections, proponents said the bill gives school districts the flexibility they have requested for several years. Sen. Jane English (R-North Little Rock) sponsored the bill. Union membership. HB1957 (Act 964) gives public school employees the flexibility to join or leave labor organizations at any time. Labor organizations and employers may not place any restrictions on a term for membership. Rep. Grant Hodges (R-Rogers) sponsored the legislation. Academic distress. SB858 (Act 1272) sponsored by Sen. Eddie Cheatham (D-Crossett) allows certain schools to be exempt from academic distress classification, including public schools designated as alternative learning environments (ALE) and charter schools focused on students at risk of dropping out of school. Act 1272 gives authority to the state education board to develop criteria for granting the exemption. Special education. HB1485 (Act 839) establishes a legislative task force on best practices in special education. While members of the Senate Committee on Education lamented the overuse of task forces in recent years, they agreed with bill sponsor and former special education teacher Rep. Sheilla Lampkin (D-Monticello) on the significance of this work. Act 839 outlines the work of the task force, member selection, and reporting requirements. Concealed carry. HB1505 (Act 1078) removes some restrictions on possessing a handgun on public property, including public school parking lots and drop-off zones. The new law allows the holder of a “concealed carry” license to have a handgun in their vehicle as they drop off or pick up children at school, and to leave the handgun in their locked, unattended vehicle in a school parking lot. The legislation was sponsored by Rep. Michelle Gray (R-Melbourne) and heard by the House and Senate judiciary committees rather than the education committees. 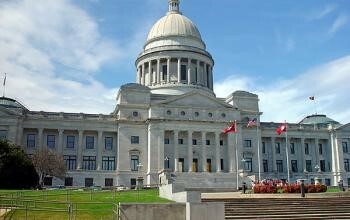 The House and Senate education committees will begin their monthly joint meetings on June 8 and 9.